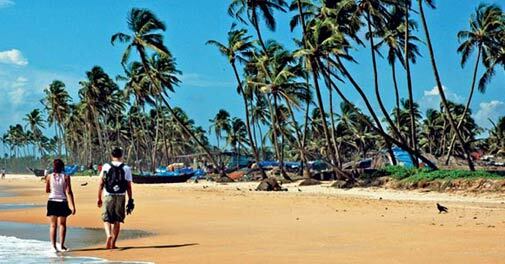 The tourist hotspot was chosen as the Best Indian Destination for Relaxation-2014 at the Lonely Planet India Awards. Looking for a holiday destination where you can stretch your legs without a care in the world? Look no further than Goa, which has won the title of 'Best Indian Destination for Relaxation - 2014' at the recently concluded Lonely Planet Magazine India Awards. 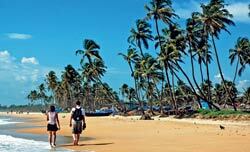 In their report, the panelists judged that not only is Goa a fabulous beach destination complete with swaying palm trees and wild parties, it is also the perfect introduction to the enigma that is India. According to tourism officials, Goa's draw lies in its curious mix of temples, cheap marketplaces and marvellous cuisine with picturesque beaches (most of which have been unanimously voted as the best in the country) and ultra-luxury hotels. To arrive at this decision, the judging panelists of the Lonely Planet Magazine India Travel Awards - comprising travel experts and professionals - shortlisted candidates in various categories before inviting readers of the Lonely Planet Magazine to vote online as well as through the magazine. Mud packs are good, and not just for your face! Years of exposure to pollutants has turned the Taj Mahal pale yellow, and scientists are now using the beautician's favourite treatment to restore its sheen. 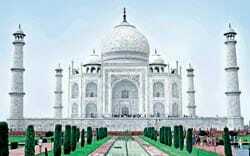 According to officials, packs of multani mitti (Fuller's earth) will be applied to large parts of the Taj and left to dry overnight. Once it dries, the mud pack will flake off, taking with it layers of dirt and grime. The marble will then be washed with distilled water. This treatment, officials claim, will reverse some of the discolouration the Taj has suffered over the years. 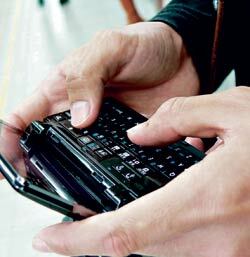 When it comes to booking tickets through mobile phones, nobody can beat the Asian traveller. A study, conducted by online accommodation specialist AsiaRooms and electronics giant Lenovo, has found that people from Asia lead the field when it comes to mobile travel bookings as well as searches - at 33 per cent and 59 per cent - compared to the global average of 25 per cent and 46 per cent respectively. Asia recorded 59 per cent Internet searches for travel accommodation, a hike of 13 per cent compared to the global average. At 65 per cent, Thai respondents were the highest among Asians. Also, one-third of the Asian travellers booked travel accommodation through their mobile devices, an increase of 8 per cent on the global average. Singapore's Changi may have won the best airport award this year, but it could face a formidable new competitor in 2015. The gates of the sparkling new Heathrow Airport terminal have finally opened, capping off an 11 billion investment over the last decade. 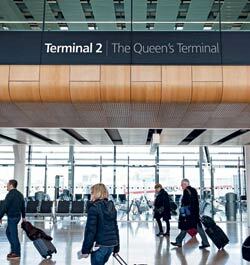 Terminal 2, or The Queen's Terminal, will cater to as many as 26 airlines, 23 of which are Star Alliance members, and handle 20 million passengers. When fully operational, the terminal will operate 332 daily flights to 54 global destinations. What's the height of fine dining? Well, this could just be what you are looking for - if you aren't too susceptible to vertigo, that is. Located on the remote Thai island of Kood, the tree pod dining facility at the Six Senses' Soneva Kiri brings what is arguably the most novel way to enjoy a romantic dinner or a lazy lunch amid the treetops. 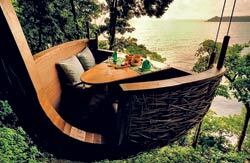 Situated 16 feet (5 metres) above the ground, the dining pod is surrounded by lush tree tops and beautiful sandy beaches. You don't have to worry about accidents either - the pod is constructed with a rigid frame wrapped in woven rattan and can easily accommodate up to four diners. The food and drinks are delivered by a "flying" waiter, harnessed to a zip-line. Tarzan of the Apes, anyone? >> Check the flight status before leaving home. Most airlines do text flight status updates, but it's something you can't take for granted. >> If the facility is available, check in online. This will save you the trouble of standing in a long queue. 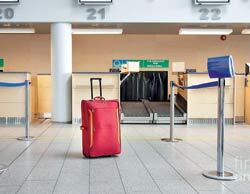 >> Put all your travel documents in the most accessible part of your bag. Lastminute confusion is best avoided. >> Get somebody else to drive you to avoid unnecessary parking hassles. >> Download mobile apps that may help; there are hundreds of them for various purposes - from locating restrooms to sending an online SOS to your agent. Stuck in the middle of nowhere, willing to sell your kingdom for a cab? 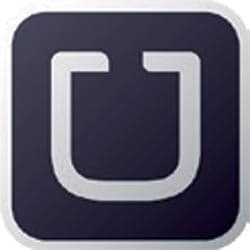 Let Uber be your shining knight. This app lets you choose from different kinds of taxi services, from regular to luxury, no matter which continent you are in. Don't worry about the bill coming as a shocker either, because it gives you a basic idea of how much you will be forking out at the end of the trip.